An action-precision platformer where the player has to avoid obstacles and make it to the end of the level. The more the player collides, the harder it gets! Developed September 2017 for Prototyping Course at Westerdals Oslo ACT. One full work week (5 days x 8 hours) of development. Made with Unity. Solo project. You play as a time travelling archaeologist detective/adventurer that has travelled from the distant future to discover the cause of death of a viking village in year 936. Developed in November 2017 for a 2D Project Course at Westerdals Oslo ACT as a solo project. Please note: This prototype is not very well optimized, so there may be some performance issues depending on your PC. Also please note: The 3D assets are not self made. 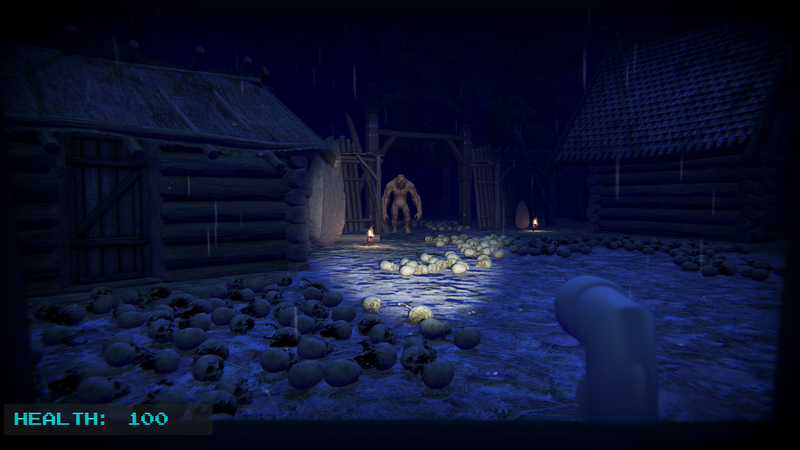 They are from Unity Sample Projects 'Viking Village' and 'The Courtyard'. Operation Recon Spider is a climbing game about a curious, adventurous spider who made his own spaceship, so that he can explore the world! However on his journey he needs to hop out of his spacecraft and gather information. On that journey he will meet many a threat as he is moving back up to his ship, finding the recon. Developed from January - June 2017 for a 2D Project Course at Westerdals Oslo ACT.